The Tropicana is an open air warm swimming pool loacted in the town centre. The deepest it goes is 1.2 metres and it is a childrens swimming pool consisting of two pools, both with their own slide. The smaller pool is very small and is mostly used for babies and toddlers with an elephant slide that goes into the water. 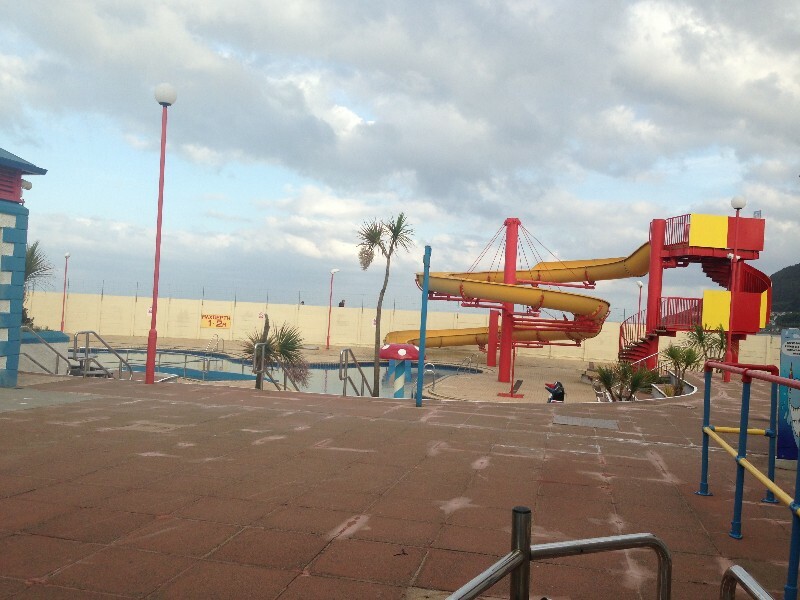 The bigger pool is deeper than the small one and has a large yellow water slide that twists and turns, and is quite high up. 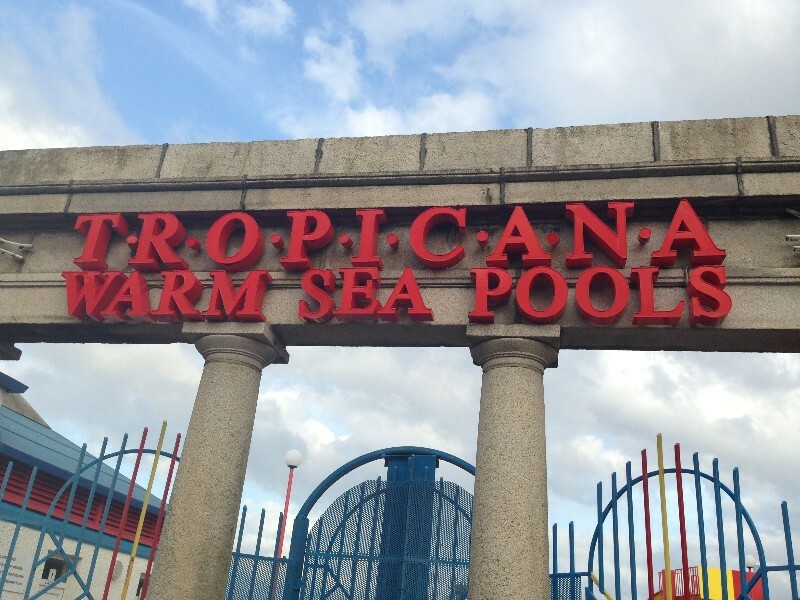 The tropicana has been in Newcaslte since the eighties and is well liked by both locals and tourists. It is only open during the summer months of July and August. Tropicanarama (disco and pool games), is on Tuesday and Thursday evenings. There is also swimming lessons Mon-Fri 9am-11:30am. Play sessions in the pool are Mon-Fri 2pm-4pm with floats and play equipment. Great day had by all, beautiful sunshine added to the fun. I hadn’t been in along time, had forgot how lovely it was. Clean, staff very approachable, kind and helpful. I asked if i was allowed to take photos, was told no, however everywhere i looked people were taking photos, so i don’t understand this.